Teens who participate in daily sports and exercise activities are less likely to transition from opioid pain reliever use to heroin, according to research funded by the National Institute on Drug Abuse (NIDA), and published today in Pediatrics. There have been anecdotal reports of teen athletes being prescribed opioid pain relievers for injuries, who later transition to nonmedical use of opioid pain pills and then turn to heroin. However, this study found that sports activities may have a protective effect related to that potential transition. Researchers from the University of Michigan at Ann Arbor looked at 18 cross sections of eighth and tenth grade responses in NIDA’s Monitoring the Future (MTF) survey, answered between 1997 and 2014. While the survey measures prevalence of drug use, it also collects secondary data, including information related to involvement in athletics. NIDA’s MTF survey is conducted annually by a separate team of scientists at the University of Michigan. For a copy of the abstract, "Nonmedical Prescription Opioid and Heroin Use Among Adolescents Who Engage in Sports and Exercise," published in Pediatrics, go to http://pediatrics.aappublications.org/content/early/2016/07/21/peds.2016-0677. NIDA. "Athletic teens less likely to transition from prescription pain relievers to heroin." National Institute on Drug Abuse, 25 Jul. 2016, https://www.drugabuse.gov/news-events/news-releases/2016/07/athletic-teens-less-likely-to-transition-prescription-pain-relievers-to-heroin. NIDA. 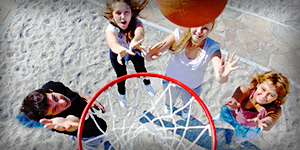 Athletic teens less likely to transition from prescription pain relievers to heroin. National Institute on Drug Abuse website. https://www.drugabuse.gov/news-events/news-releases/2016/07/athletic-teens-less-likely-to-transition-prescription-pain-relievers-to-heroin. July 25, 2016.